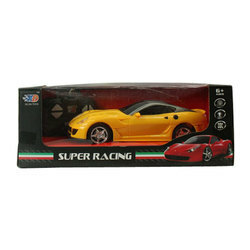 As an affluent name in this domain, we hold expertise in providing high-quality Rechargeable Toy Car. Superb looks, remote operations, flashy lights, super gloss finishing, comfortable sitting. 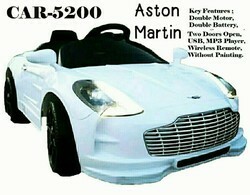 We are dealing in Kid Battery Car XMX-815.Alos porviding producs on EMI basis. Having a positive quality management system, we are involved in presenting a comprehensive compilation of Battery Powered Toy Car. Owing to huge industrial experience, we present an exceptional quality of Battery Operated Kids Car that is quality tested and are durable in nature. - New on the Market! Officially Licensed Audi Ttrs Licensed Electric Ride on Car.